The most intelligent communities in 2007? – fostering innovation and marketing economic development. Cleveland is the only U.S. city to make the list in the last three years, with Spokane WA, LaGrange GA and the Florida Tech Corridor within two years prior. While they did show significant progress toward establishing a digital infrastructure in a short period of time, their momentum fell short in developing a compelling creative class district to work in; a cool town if you will. The industrial age equivalent would be a city having an incomparable network of roads and highways, but no destinations worth driving to. 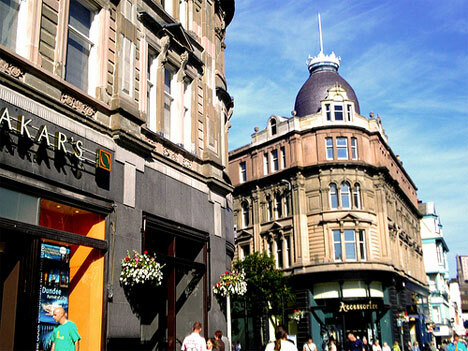 The above image of Dundee, Scotland is representative of the historical districts that are highly appealing to creatives.